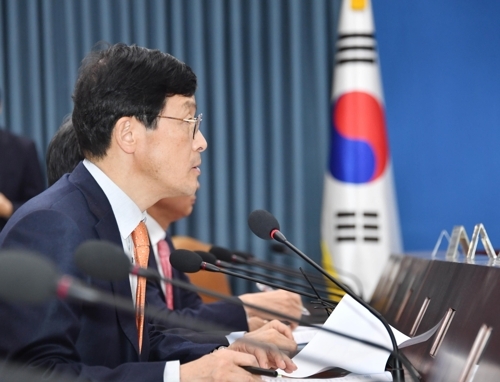 SEOUL, May 23 (Yonhap) -- South Korea will adopt stronger regulations on aged coal-fired power plants and increase use of low-carbon fuels to reduce air pollution, the energy ministry said Wednesday. 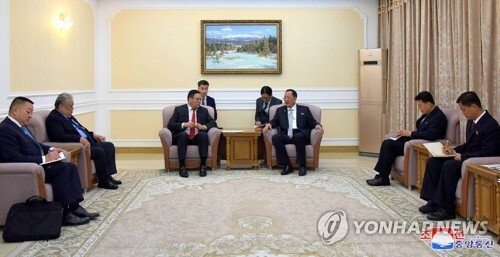 Paik Un-gyu, minister of trade, industry and energy, said the government will allow mayors and governors to set upper limits for the operation of power plants fueled by coal and oil starting in the latter half of this year. Out of 68 coal- and oil-powered stations, the ministry is moving to scale back the operations of 42 stations located in major cities by 80 percent when fine dust warnings are issued. 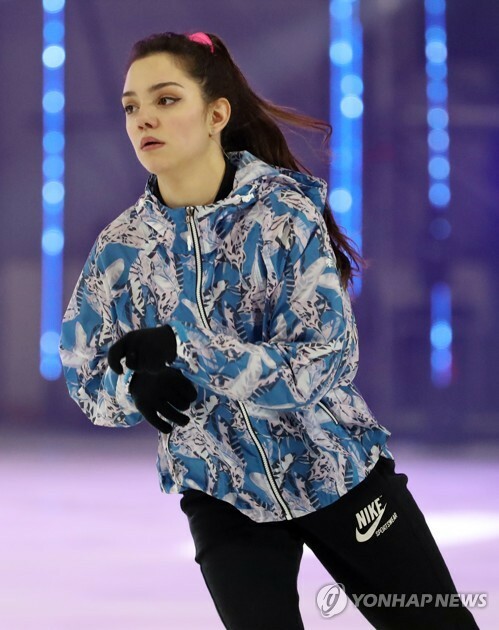 The proposal will be confirmed after consulting with the environment ministry and provincial governments, the ministry said. To reduce carbon emissions, state-run utility firms will seek to increase the use of low-sulfur coal and upgrade older facilities, it said. 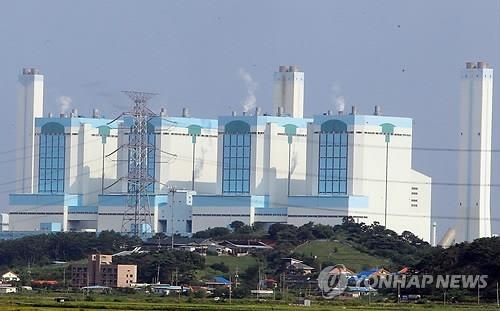 "If the measures are implemented as scheduled, fine dust from coal power plants is expected to fall by up to 43 percent in next year's spring season (April-June) compared with this year," Paik said during his visit to a coal-fired power station in Dangjin, 120 kilometers south of Seoul. 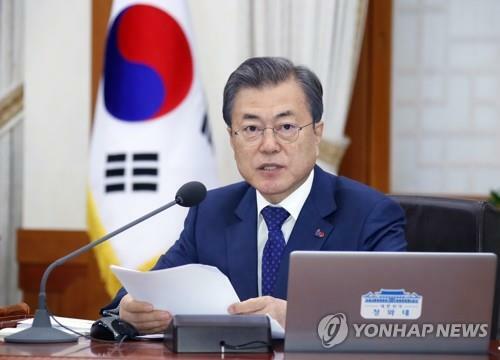 The limit on fossil fuel power plants is part of the Moon Jae-in administration's broader energy plan, which seeks to reduce the country's dependence on coal and nuclear power and transition to renewable energy sources. Under the plan, the government won't authorize new licenses for coal power plants and will consult with utility companies to convert their coal-fired power generation projects to natural liquefied gas stations. Existing coal power plants will be required to cut carbon dioxide emissions 40 percent by 2022 and 58 percent by 2030 to meet the national emissions reduction goal. The government earlier announced measures to require state-run utility firms will suspend the operation of five coal power plants aged over 30 years from March through June. The five power plants produce a combined 2.3 gigawatts of electricity, about 2 percent of the nation's total power generation, it noted. 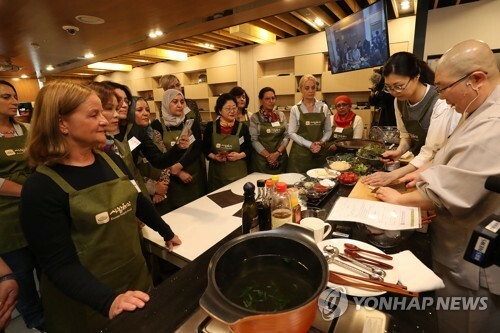 In 2016, South Korea set a national target under the Paris climate agreement to reduce greenhouse gas emissions by 37 percent from business-as-usual (BAU) levels by 2030.